SrinSoft is an Altova Premier Partner offering data management, software and application development, mobile development, and data integration to fulfill a broad spectrum of business needs for development teams. Altova accelerates application development and data management projects with software and solutions that enhance productivity and maximize results. We provide consultancy across all Altova products on the best approach to various BFSI, Manufacturing, Healthcare and Telecom Industry. 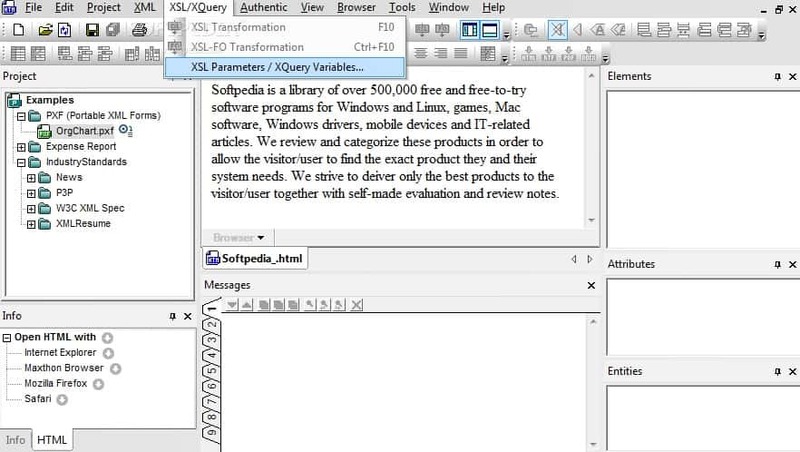 Altova XMLSpy is an XML editor and XML development environment for modeling, editing, transforming, and debugging all XML-based technologies. The XMLSpy XML editor delivers the power you need to create the most advanced XML and Web applications, yet at the same time Altova XMLSpy is flexible enough to allow you to work with any XML technology in a way that best suits the complexity of the document and your preferences. Altova XMLSpy offers a leading XML editor and graphical XML Schema editor, code generation in Java, C#, or C++, file converters, debuggers, profilers, database integration, support for XSLT, XPath, XQuery, WSDL, SOAP, XBRL, and Open XML (OOXML), plus Visual Studio and Eclipse plug-ins, and more. Develop higher-quality, standards-conformance XML based applications more quickly than ever before with the Altova XMLSpy Enterprise Edition XML Editor. 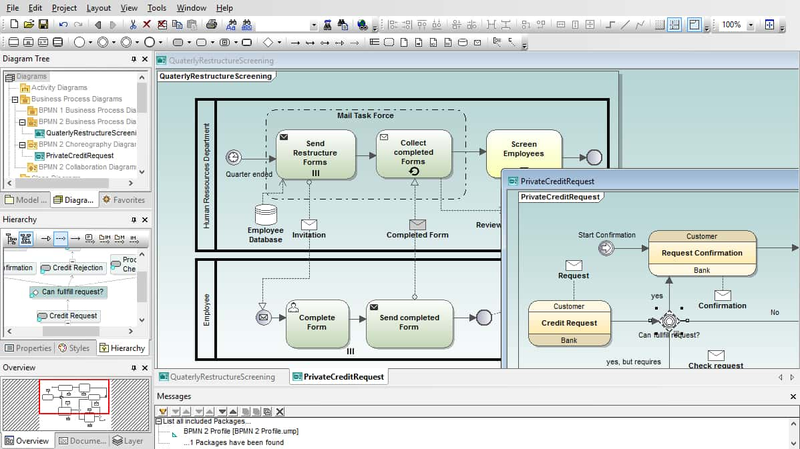 Altova MapForce is a graphical data mapping, data conversion, and data integration tool. It maps between any combination of XML, database, flat file, EDI, Excel, XBRL, and/or Web service thus transforms data instantly or auto generates royalty-free code for the execution of recurrent conversions. 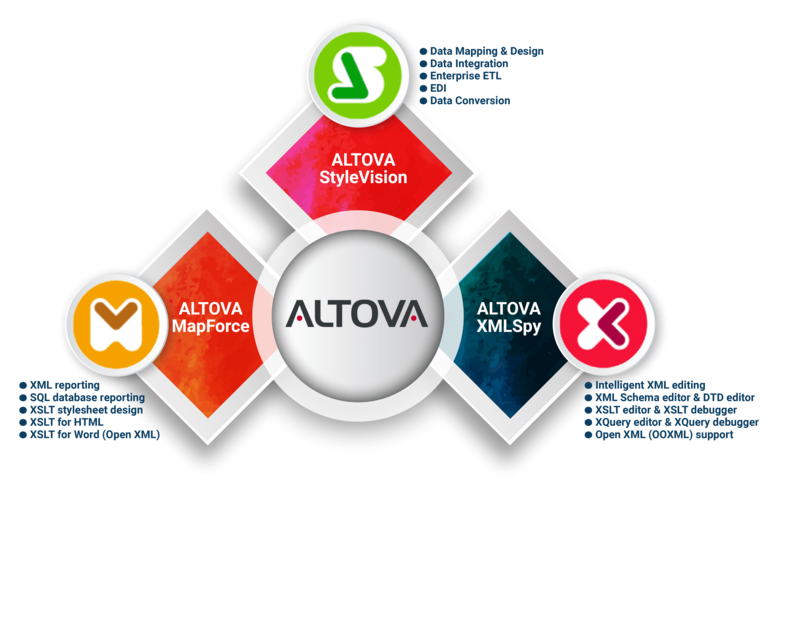 Altova MapForce includes the following languages for code generation: XSLT 1.0, XSLT 2.0, XQuery, Java, C#, and C++. 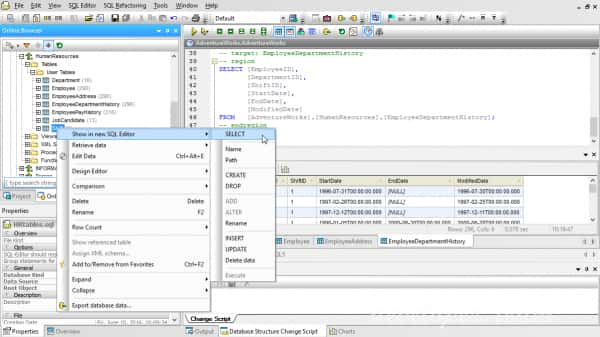 Altova MapForce integrates with Visual Studio and Eclipse to let you access MapForce benefits inside these leading IDEs. Altova MapForce also allows you to easily integrate disparate data sources or create Web services using graphical, drag-and-drop functionality. 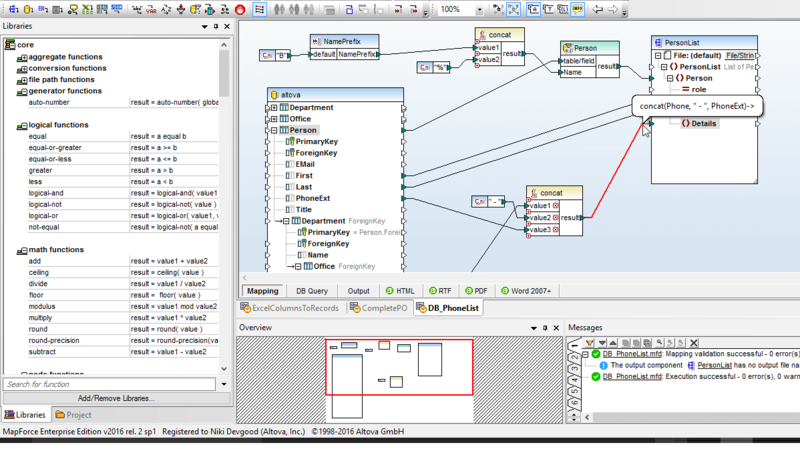 UML Software Modelling Tool - Intuitive Visual Modeling for all UML Diagram. 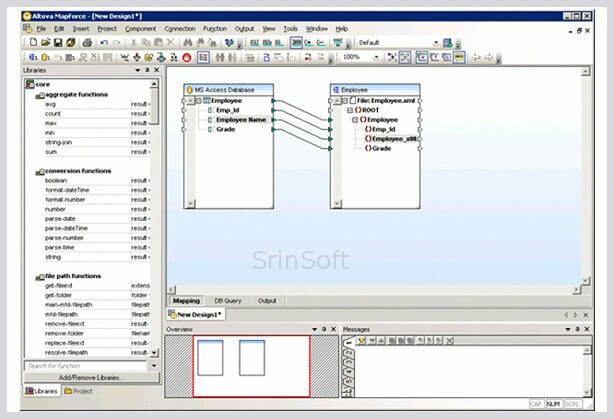 SrinSoft has great expertise in UModel tool that creates a rich visual interface with high-end functionality like source code engineering, XMI model interchange, support for Business Process Modeling. 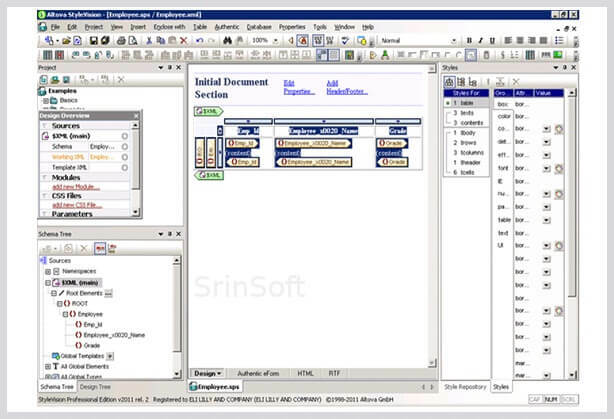 SrinSoft has great expertise in DiffDog tool which merge the relevant for files managed in any source control system where two users may started from the same source file then make different changes which must be reconciled. 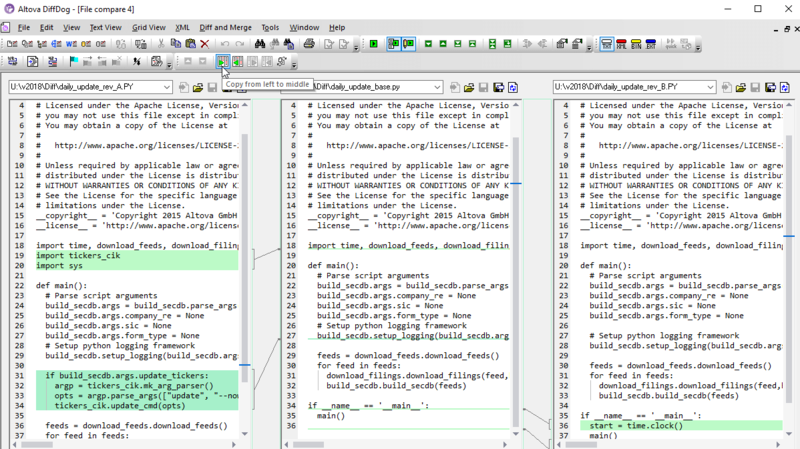 A three-way file compare permits display and navigation of all differences between both new versions and the common ancestor file. 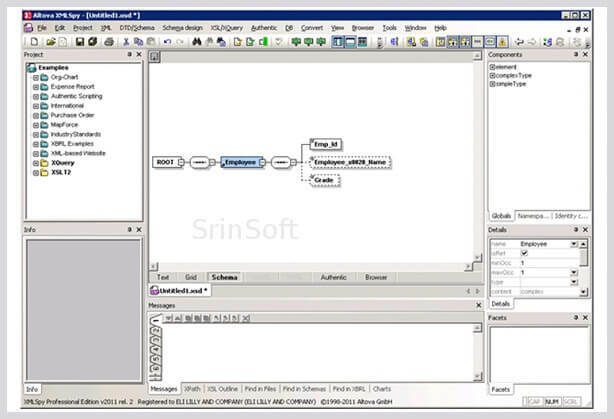 SrinSoft has good expertise in XML Schema management tool ascertain the relationships that exist between associated schemas, as well as the various components and data types that exist within each schema. It's easy to modify connections and create new import, include, or redefine (IIR) relationships using simple drag and drop functionality. SrinSoft has expertise in Altova Authentic which offers business users the ability to directly edit XML (or database) content through easy-to-use document templates, with the benefits of real-time validation and customizable templates for the most demanding enterprise content editing.